Most people are not aware that having difficulties with mathematical solutions can be considered a disorder or disability. Dyscalculia is defined as a neurological problem specifically dealing with learning disabilities in the area of mathematics. 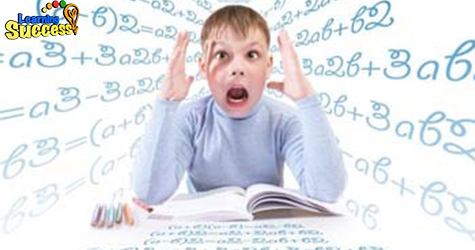 Typically, folks with dyscalculia may have difficulties with time, measurement, and spatial reasoning. Because it is the least known of the several types of dyslexia, it typically goes unnoticed. On average a person uses math 14 times a day. Things like computing the budget for your family expenses, helping your children with their homework, or balancing your bank accounts. Making mistakes while noting phone numbers. • Difficulty in counting money. Difficulty following directions or reading maps. Inability to grasp basic math concepts. It is very important to consult an expert when you feel that you have these symptoms. It's important to determine what type of learning disability that you may have and find the correct solutions for your problem. Networks like Overcoming Dyscalculia can really be helpful in supporting individuals with dyscalculia. They can share experiences. Graphing calculators can be helpful as they show what mathematical sums have been calculated as you go along. This reduces the chance of an individual forgetting what they have done because they can refer back to the information on the screen if required. There are also a lot of reading tools that can help.